Henry Heiss had a pretty cool name for an artist, because heiss means hot in German. Again I don´t know a thing about him. 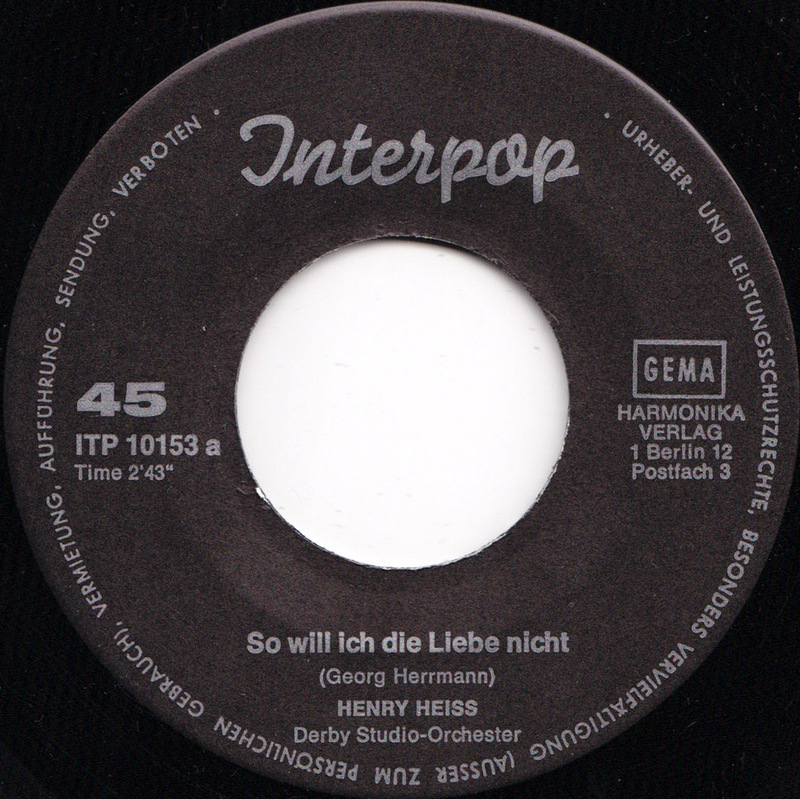 “So will ich die Liebe nicht” (That´s not how I like love) is a nice schlager-beat tune that is sung with the typical heavy pronounciation that was fashionable at the time and backed by even heavier reverberation. As a non-native speaker of German, I’m wondering what you mean when you say that his pronunciation is heavy. I meant that Henry Heiss is heavy on the R´s and S´s. He´s singing: “SSSo will ich die Liebe nicht. SSSo SSind meine TRRäume nicht. Denn ich will dich doch ganz für mich allein, Ohoho!…” and especially clear when he goes:” SSo sind meine TRRäumeRReRRein…” instead of a flat “Troy-meh-rhine” (Träumereien- Dreams). He pronounces the words very clearly instead of slurring certain words like you do if you would be speaking German. It was a certain style of singing and also anouncing on TV that was popular in the 50´s and 60´s. In the south of Germany, especially in Bavaria, people are also heavy on the R.
By the way, Pieptone is a great band! Henry Heiss is my grandpa.